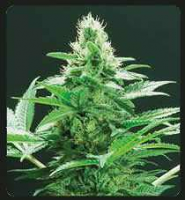 The Truth Regular Marijuana Seeds by True Canna Genetics: The Truth – High Times Cannabis Cup Winner 2014 Triangle Kush x SFV/Chem a classic old school OG Kush elite the Triangle Kush is given a boost of vigour to create an extremely branchy OG Kush dominant strain. Big dense bud, incredible trichome coverage and raw potency are sure to satisfy even the fussiest of connoisseurs. The aggressive terpenes and sweet musky undertones are blended with bursts of tropical fruit soda, a true shock to the system of anyone used to the watered down OG's often found. These flavours will coat the tongue and delight the taste buds. To get the most out of her be sure to give a 21 day flush and makes sure she yellows out nicely. 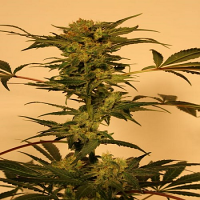 Also top her plenty to maximize bud sites and consequent yields.